Oct. 22 (Bloomberg) -- Former executives from Standard & Poor's and Moody's Investors Service told lawmakers today that credit raters relied on outdated models in a ``race to the bottom'' to maximize profits. Mr. Powell mentioned Mr. Khan’s death to underscore why he was deeply troubled by Republican personal attacks on Mr. Obama, especially false intimations that he was Muslim. “Is there something wrong with being Muslim in America? No, that’s not America,” he said. The quest now is to integrate our thought not only as fully American but also as fully Muslim in the internal American thought processes about financial regulation, international relations, and other areas of political discourse, without being dismissed off-hand as being somewhat alien to our homeland of choice. This is not in any way a violation of the separation of Church and State. Our religious choices determine our preferences for society, and bring a wealth of human history and experience that should enrich the political process without tarnishing its areligious nature. It is unfortunate that majority Muslim countries of today have suggested that Islam does not allow separation of Church and State -- contrary to historical evidence dating back to the immediate days following the death of the Prophet (p) -- thus preventing their own wealth of history to inform their policy making positively. It is difficult to blame poorly informed westerners for irrational fear of everything "Muslim" when Muslim leaders in various parts of the world are actively nurturing this fear toward political and financial ends. 1. There is a fundamental tradeoff, as you have suggested, between growth and efficiency on the one hand and equity and stability on the other. In a world where some societies choose a high-growth path and others choose the equitable-stable path, the former societies eventually invade or otherwise overtake the others politically and economically. Hence, there is need for a social contract, which you have put under the banner of morality, to shepherd mankind to the safer more equitable path. 2. Morality cannot be legislated, and reliance on social and economic players to exhibit moral conduct voluntarily is a form of Utopianism. There are numerous verses in the Qur'an and numerous Prophetic Ahadith that explicitly characterize mankind as gluttonous wealth seekers. Pious members who are satisfied with little, etc., as you describe, were a minority even immediately following the death of `Umar ibn al-Khattab, as evidenced by the grand fitna and the later paths pursued by the Umayyads, the Abbasids, etc. 3. Islamic jurisprudence used and refined many of the earlier scriptural and human-legal provisions for creating the more equitable and less turbulent path, through restrictions on leverage, fragmentation of estates, redistribution of wealth, etc. In the arena of finance, the prohibitions of riba (absolute) and gharar (relative, but absolute for the extreme of maysir) can be seen as regulations of risk taking. In the ancient world, this was accomplished by permitting certain contracts and forbidding others. I have argued that adoption of this approach in the modern era of financial engineering, where transaction costs of circumventing the prohibitions have become minimal, is incoherent. 4. The mirror-image-problem of this product-oriented regulation of financial markets has been at the core of the current financial crisis. Insurance markets have been generally regulated to keep them from becoming gambling (maysir) tools. For instance, I cannot buy an insurance policy against another person's losses, lest this may be at best a form of gambling and at worst an incentive to harm that other. Credit default swaps and other modern derivatives may equally be seen as forms of insurance, but ones that lack sufficient regulation to prevent gambling. I was tempted in July to buy put options on oil, thinking that a global recession is inevitable and the price of oil will have to fall. I stopped only because I think that this is a type of maysir, because "markets can remain irrational indefinitely, certainly longer than I can remain solvent." Numerous others made the bets, I am sure, and conditional on counterparty risk, some have made small fortunes doing that. The incentive to gamble is simply too great. There is nothing uniquely Islamic about modesty, contentment, shunning risk and gluttony, or even the prohibitions of riba and maysir. Even those who do not believe in revelation (to Moses, Jesus, or Muhammmad; p) can be convinced that those ancient prohibitions and injunctions were distillations of human wisdom over the millennia. Calling those injunctions and prohibitions "Islamic" strikes many as exclusionary and encourages others to engage in hateful and myopically-triumphalist celebration of our collective failure (Islamic finance is just as guilty as conventional finance for bringing about the current crisis). It is not clear that majority-Muslim societies are particularly better equipped to solve the collective-action problem required to find a low-growth-low-risk social contract. In a world where others will pursue higher-risk-higher-growth paths, it is not even clear that pursuing that lower-risk-lower-growth path is warranted (isn't that how Madinah lost to Damascus during the time of Mu`awiyah?). Is it possible to reconfigure our rhetoric to make it less exclusionary (avoid separatist and triumphalist use of the "Islamic" brandname) and to convince multiple populations at very different stages of economic development to shun fast growth in favor of greater equity and stability? The dialogue would likely be very similar to the one witnessed in negotiations over polluting rights. Perhaps we can learn more from the successes and failures of this global dialogue than we can from inspecting ancient laws for outdated modes of regulating financial markets. It is most unfortunate that "Islamic Economists" over the past two decades have given in to the "Islamic Finance" paradigm of replicating conventional financial markets and institutions in Islamic garb. 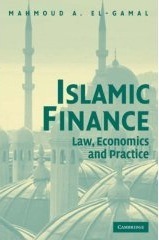 A few of us have tried to argue that the essence of Islamic jurisprudence and earlier religious teachings on finance is shunning excessive trading in risk (indeed, I have argued that the forbidden gharar is "trading in risk" and that the forbidden riba is "trading in credit," which is an extreme form of gharar). Of course, the financialization of the U.S. and global economies, and the simultaneous financialization of Islamic economic thought and practice over the past three decades, has been primarily about intensified trading in credit and risk through multiple "innovative" approaches ranging from securitized debt instruments to derivatives. Innovation by itself is not a bad thing, and one expects new more efficient financial instruments to evolve over time. The problem has been an excessive emphasis on financial profit-making, at the expense of substance. My argument for mutualization was thus predicated on eliminating the profit motive from finance, thus reducing the incentive to take very large risks. 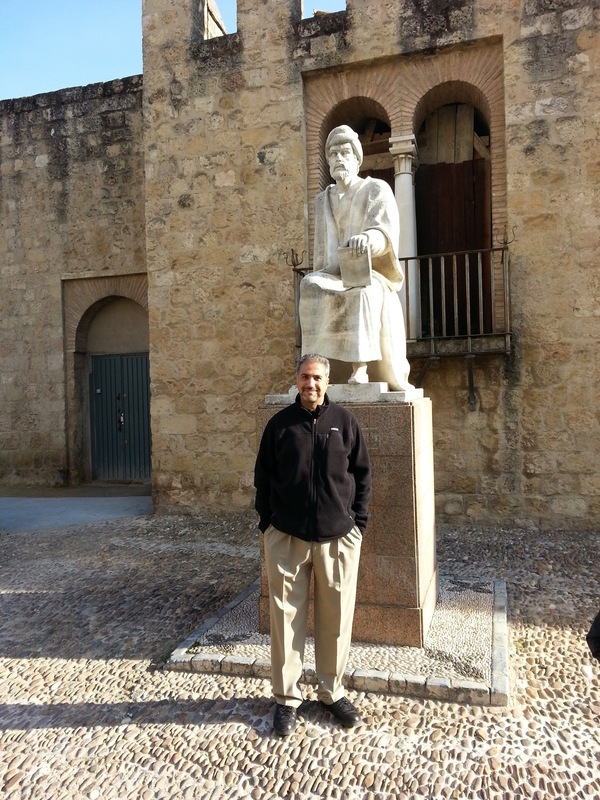 My argument with Dr. M. Nejatullah Siddiqi (posted on this blog two and a half years ago) shows how some of the more conservative Islamic economists gave in to the temptation for faster growth at the cost of increased risk. "People around the world once admired us for our economy, and we told them if you wanted to be like us, here's what you have to do — hand over power to the market," said Joseph Stiglitz, the Nobel Prize-winning economist at Columbia University. "The point now is that no one has respect for that kind of model anymore given this crisis. And of course it raises questions about our credibility. Everyone feels they are suffering now because of us." Now we should probably see many of the terribly-designed and labeled sukuk backed by shoddy risk analysis and myopic for-hire interpretation of Islamic jurisprudence will begin to collapse. The model of Islamic finance that has emerged since the roaring 1980s should come to an end. 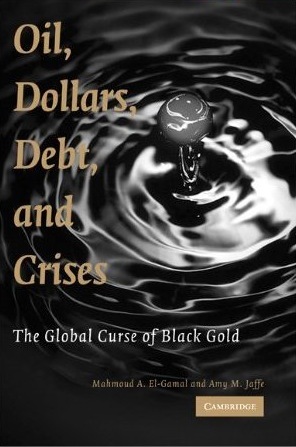 Many have blamed the current financial crisis on the greed of financial-market participants. Some of the top bankers and most of the top "Shari`a scholars" will probably keep the millions that they have "earned." One of the prominent Shari`a scholars from the Gulf, whom a central banker from the Middle East said netted $3 million last year, once chastised me in KL, Malaysia, for questioning the fees that they collect: "the lawyers make more money," he said. How many, I wonder, will still feel that they have earned that money.